This project began as an outlet for the creative passions of Timothy Dunham. With camera in hand most of his life Timothy wanted to do more in the community. The surroundings of Long Beach, California was the perfect location for this to happen. Photography shows, creative art events and partnerships have been built with artists and organizations, resulting in success for everyone. Timothy loves to create events that bring people together. This is idea is captured in the creation of the Mobile Art Gallery. A mobile structure that frees the artist from the gallery wall. This easily adds an art component to any event. Check out all the events, shows and more below! Since it's small beginnings, Some Things Creative is now international. Homebase is currently located in beautiful Arth, Switzerland. Travel and Adventure photography and rock climbing guiding has been Timothy's focus lately. He loves being in nature and bringing that experience to others. 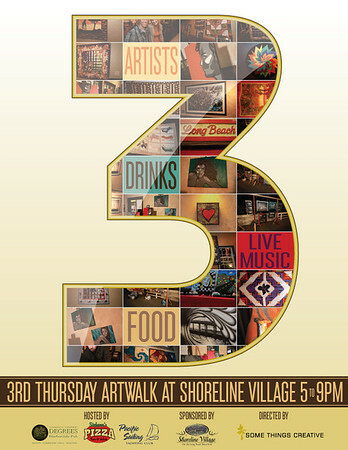 Come Stroll along the boardwalk of beautiful Shoreline Village for 3rd Thursday Art Walk. Featuring multiple artists and disciplines. Events and community involvement created and produced by Timothy Dunham. Introduction of the Mobile Art Gallery to the Long Beach, California art scene. In the spring of 2008 Joshua Tree National Park in California was in full bloom with wild flowers and adventure. Timothy was there on a climbing trip with friends and set out to climb the next route. 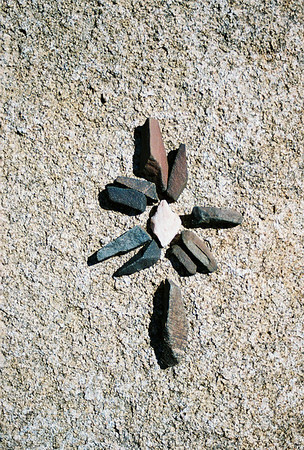 While hiking this small arrangement caught Timothy’s eye and struck him as a beacon of sorts. It is from this photo the essence of the Creative Dial is brought to life. At the time it really represented the various directions Some Things Creative was heading. That idea still holds true today as Timothy continues to create and follow his passions. The Creative Dial acts as a beacon for the possibilities of the imagination.